Introduction to Volcanic Seismology, Third Edition covers all aspects of volcano seismology, specifically focusing on recent studies and developments. This new edition expands on the historical aspects, including updated information on how volcanic seismology was handled in the past (instrumentation, processing techniques, number of observatories worldwide) that is compared to present day tactics. Updated case studies can be found throughout the book, providing information from the most studied volcanoes in the world, including those in Iceland. Additional features include descriptions of analog experiments, seismic networks, both permanent and temporal, and the link between volcanoes, plate tectonics, and mantle plumes. Beginning with an introduction to the history of volcanic seismology, the book then discusses models developed for the study of the origin of volcanic earthquakes of both a volcano-tectonic and eruption nature. 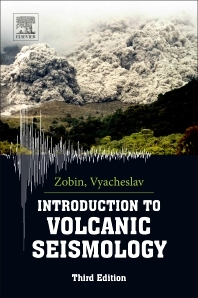 In addition, the book covers a variety of topics from the different aspects of volcano-tectonic activity, the seismic events associated with the surface manifestations of volcanic activity, descriptions of eruption earthquakes, volcanic tremor, seismic noise of pyroclastic flows, explosion earthquakes, and the mitigation of volcanic hazards. Dr. Vyacheslav Zobin began his scientific carrier in the Soviet Union as a research scientist at the Institute of Volcanology in Kamchatka where worked for about 30 years. Beginning from 1993, he moved to Mexico as professor and research scientist at the Volcano Observatory, University of Colima, México. During his 45-year activity in seismology and volcanology, Dr. Zobin published more than 150 research articles in the areas of volcanic seismology and seismic hazard. He published five books written in three languages: Russian, Spanish and English.